2015 has finally come to an end. A chaotic year that started as one of the most difficult of my life but ended as one of the best. Life may kick you mercilessly sometimes, but afterwards, it will always find a way to compensate you with joy, for the sorrow it put you through. That is what 2015 was for me; it was falling from heaven, shatter myself against the ground and stand up again to pick up the pieces and rebuild myself. 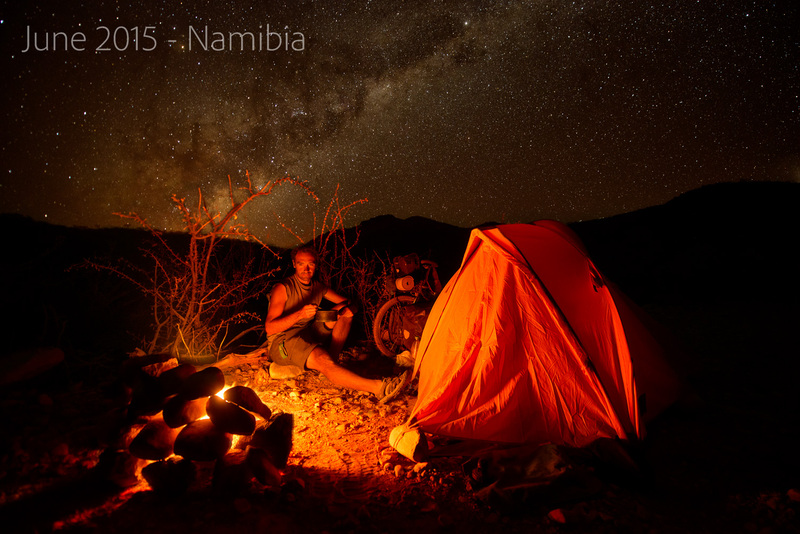 All this process lived on a bicycle along thousands upon thousands of miles across the African continent. But beyond the miseries and times of joy, it was an intense year of great lessons that will definitely not pass unnoticed. 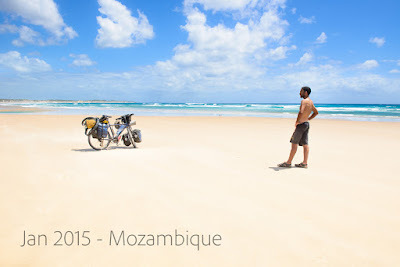 January - I find myself in the idyllic Indian ocean coast of Mozambique going through a very rough emotional situation. The beauty of the country and its adorable people give me the strength to carry on without losing faith. 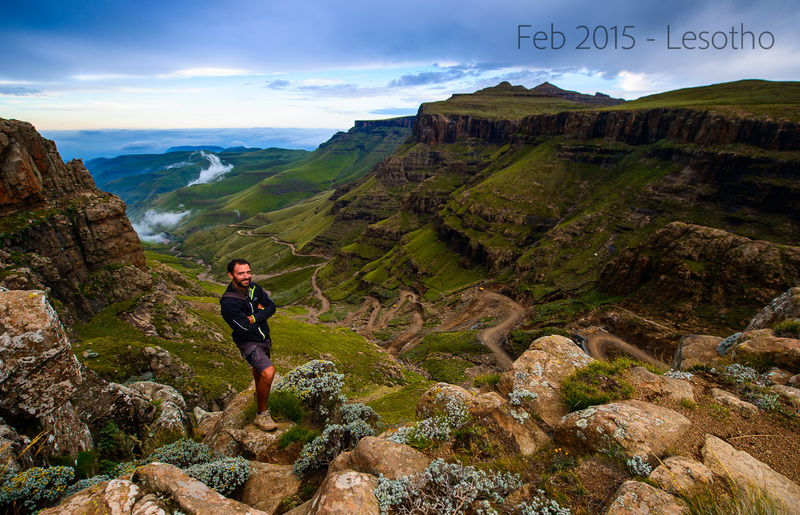 February - After spending a night in which I saw death passing right in front of me closer than ever, I conquered the brutal Sani pass in Lesotho at almost 3000 m high. A legendary pass that very soon won't be legendary anymore. 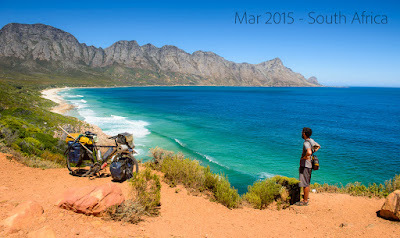 March - In Kogel Bay, only 70 km before reaching Cape Town at the extreme south of the African continent after completing the whole journey across the eastern half of it. 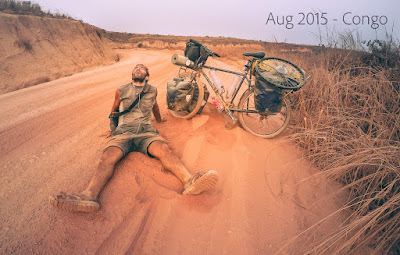 33.457 km since departure back in China and an arrival that was as exciting as difficult. A spirit filled with joy for the conquest but very sad because the plan was that there should have been two bicycles in this photo instead of one. April - After a month and a half of pseudo-resting, trying to recover what has been lost and saving what cannot be saved anymore, comes a new beginning in South Afica with all of the western half of the continent ahead. Inertia is the only thing that pushes me forward. I am at the worst emotional time of my life and I can see my whole world crumbling. May - I feel it is time to quit, I have no strength anymore, my neurosis does not let me appreciate anything around me anymore, and if I cannot be present anymore then there is no use in keeping on going altogether. But my family is there to rescue me. I finally reach the bottom, I give up but with the dignity of the ones who know that have given everything of themselves to reverse the irreversible. 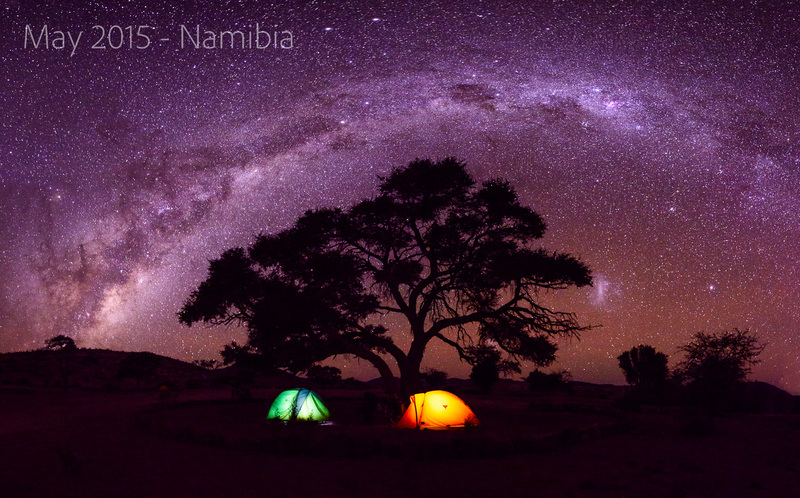 After letting go a new dawn shows in the horizon, and the wonder of this world reveals itself again before my eyes in the Namib desert of Namibia. It was time to start rebuilding myself. For ten days I enjoyed the invaluable company of my friend Niel Van Zyl, a true soulmate that I found along the road, and with him we witnessed some of the most incredible gifts of nature. June -My body is filled with immeasurable strength and energy, adrenaline flowing through my veins again. My food are the adventure and beauty of this world, back to being one with it, as it always was. By pure will and reckless lack of fear, I arrive to the most remote corners of Kaokoland, where I spend my lonely nights in the middle of nowhere with lions prowling around my tent; moments that will remain engraved forever in my DNA. July - I am not ready to give up the intensity of this life, my body is asking me for more and more. Today I am a train that just can not be stopped. 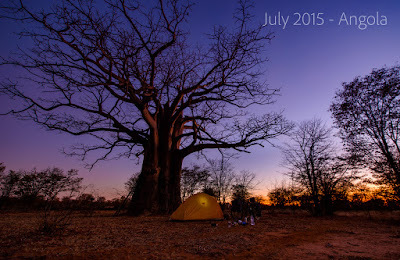 I go deep into the heart of tribal Angola riding blindly through a network of paths without any kind of signal, living with people from another world and sleeping under the sweet shadow of the largest and most beautiful baobab tress I have seen in my life. August - After years of dreaming about it, I finally got to Congo. Lying ahead of me are some of the most physically and mentally tough months of my life as a cycle traveler, but I'm ready for everything, I am committed to this adventure, the world is mine, nobody else's. 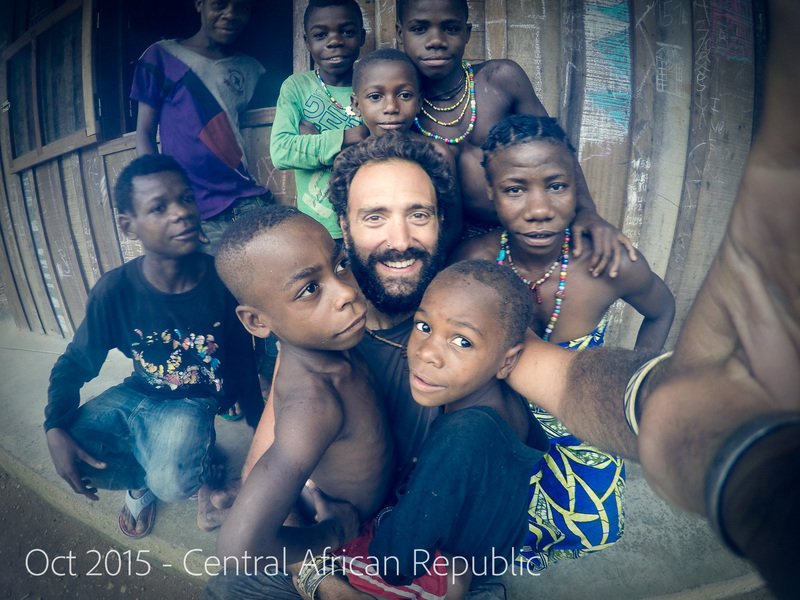 Southern Congo is not what I had expected but I found a way to have fun as a child, enjoying the dust, the endles climbs, with a heart that does not stop vibrating to live every moment to the fullest. September - The month where everything I had dreamed of became real and that reality exceeded my expectations; when life is what it has to be: present in its purest form. I have not come all the way to the Congo to ride on tarmac so I did not hesitate for a single moment to plunge into the heart of the equatorial rainforest of Central Africa. 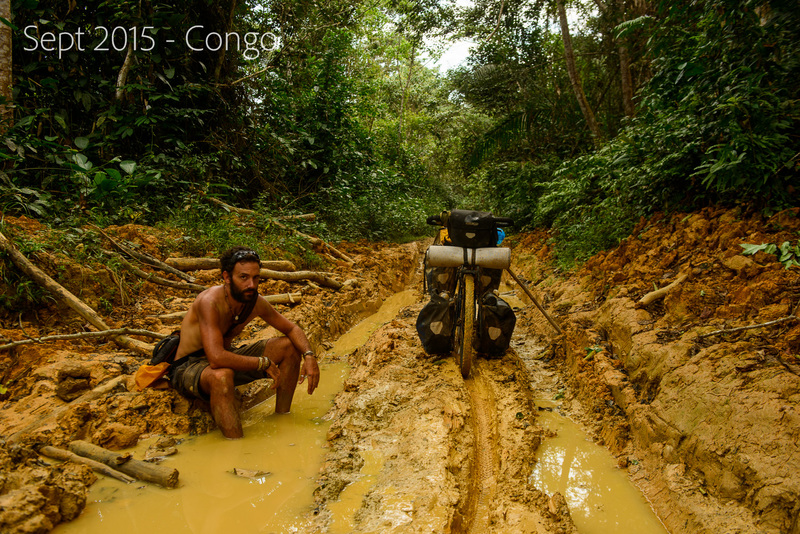 From Gabon to Congo I choose a trail that no one has ever cycled before; I punish my body and I test my mind, I painfully move forward through mud at a miserable 19 km per day, but maybe that is exactly why I enjoy the hell out of living this life. October - I have got to the heart of the equatorial rainforest, I have spent mind-blowing nights where terror has seized me, but I kept on going, I have sailed up the great Sangha river and got to where I wanted. I spent two weeks in the middle of the jungle living with the Bayaka pygmies, I fell in love with them and they fell in love with me. It is an experience that I know it will have changed me forever and those are the kind of moments for which we must celebrate life. November - By the time I reach Cameroon, I realize that I have abused myself a bit. It has been over two months in the jungle and my body has suffered a lot. My legs have impetiginized infections, my body is sick, I lost many kilos, my energies are almost completely drained and I still have to cross the most feared country of all Africa: Nigeria. 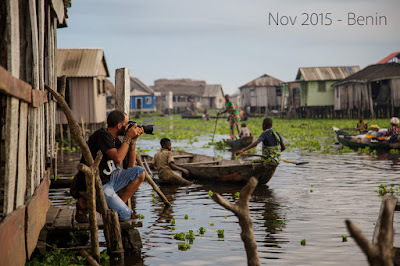 To my surprise (and that of many) I leave with some of the best memories of all Africa and I begin my recovery right there from where I move later on to Benin to continue it, now in the house of my great friend Germano, with whom I spend quiet days photographing the world. December - My batteries are back to 100% to the very last hairline. My appetite for adventure becomes unbearable again and I set off to get to the end of this difficult year in the greatest possible way. I am on my way to Accra, it is only 338 km using the most direct route, but that does not satisfy me at all and I decide to ride 2800 km instead. I head north across Benin, from where I cross into Togo and then to Burkina Faso to get straight into the heart of the Sahel, where everyone tells me that I will be kidnapped by some nasty terrorists. However, wrapped in my turban I reach the remote region of the triple border between Burkina Faso, Mali and Niger and I once again I live with extraordinary Fulani tribes and find nothing but beautiful Sahelian solitude and hospitality. 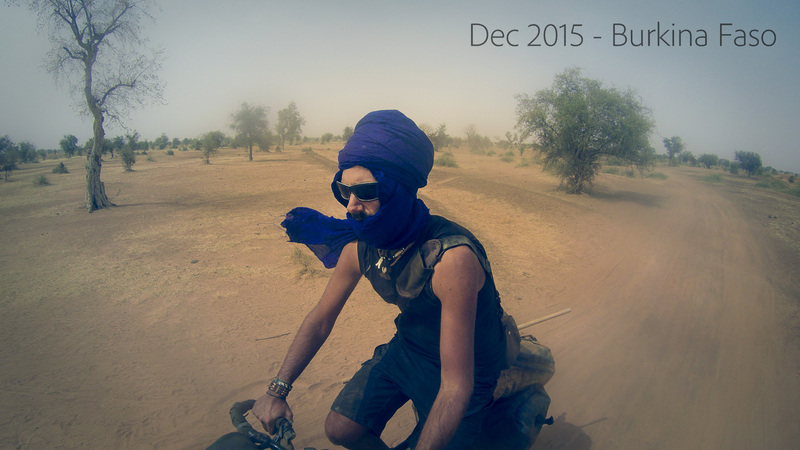 2015 comes to an end by the time I reach southern Ghana. The hardest year I can think of is finally over. I lost the greatest love I have ever had, perhaps the only real one that I have ever felt, the one I had always dreamed of, but in exchange, life has taken me along a part of the continent that I have madly fallen in love with. There, I reconnected with myself, with my essence ; I have given myself away to this world that I love so much, and once again I have become one with it. I have traveled 18 out of the last 20 years of my life alone and it was in them where the road has wisely taken me to absolute happiness. This is bliss, the universe is on my side. Happy New Year and hope 2016 brings increased happiness and some smoother pedalling for you. I just found you... you are my hero. Hi there. 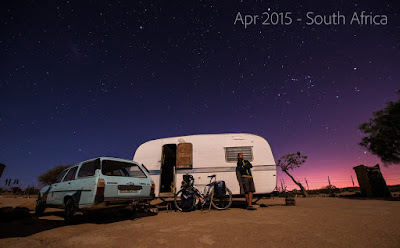 I just found you blog and I'm hooked. You make me want to travel and explore the world. These pictures are stunning!